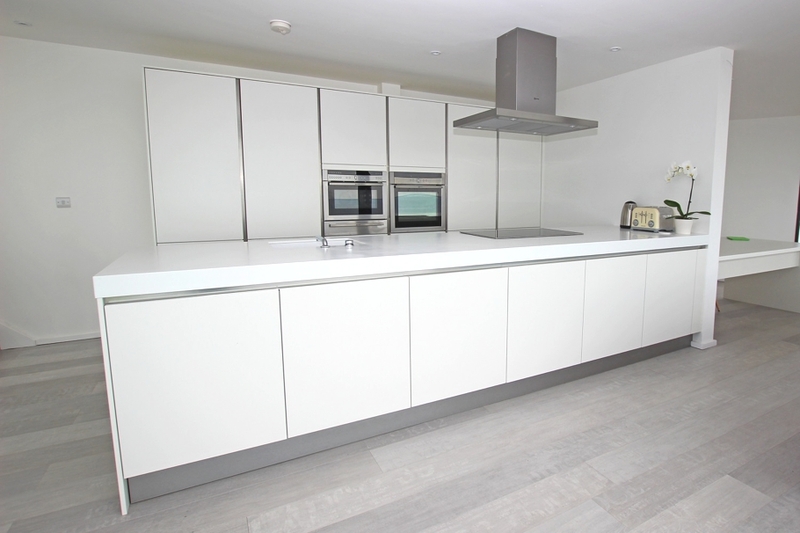 A space owned by architects with a clear vision of what they wanted to achieve, the design brief for this room specified a minimalist and contemporary kitchen look. 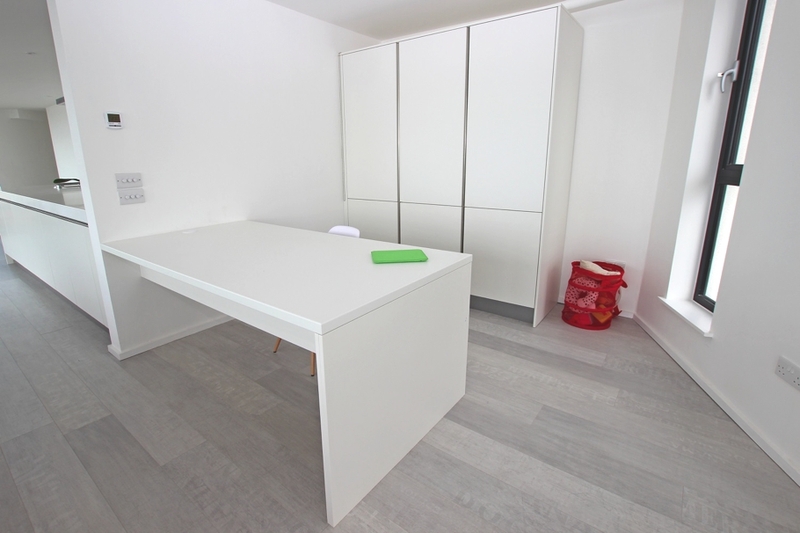 A complement for the existing white walls and whitewash floor was desirable, whilst a safe and child-friendly environment was a key priority for this family home. 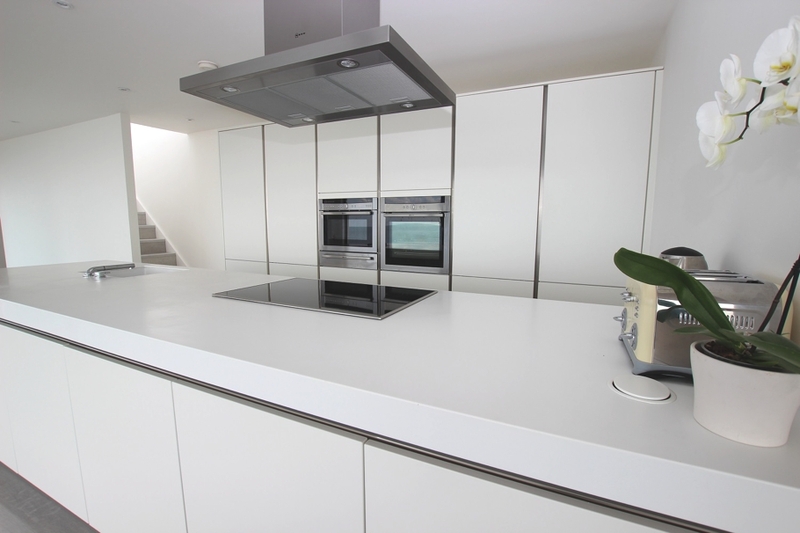 To this end, a clean white kitchen door was the ideal choice, with a handleless satin lacquer finish achieving a more contemporary feel than any gloss kitchen option. 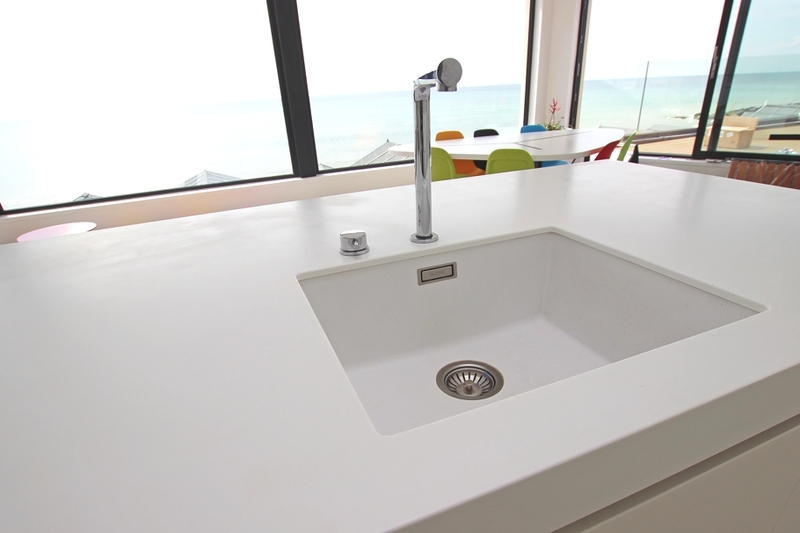 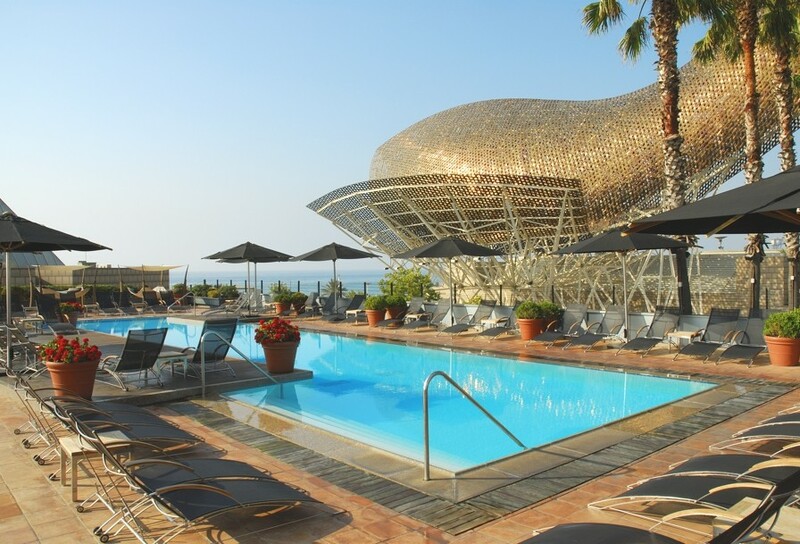 In combination with the style, the large peninsula feature provides the perfect layout for preparing and cooking food. 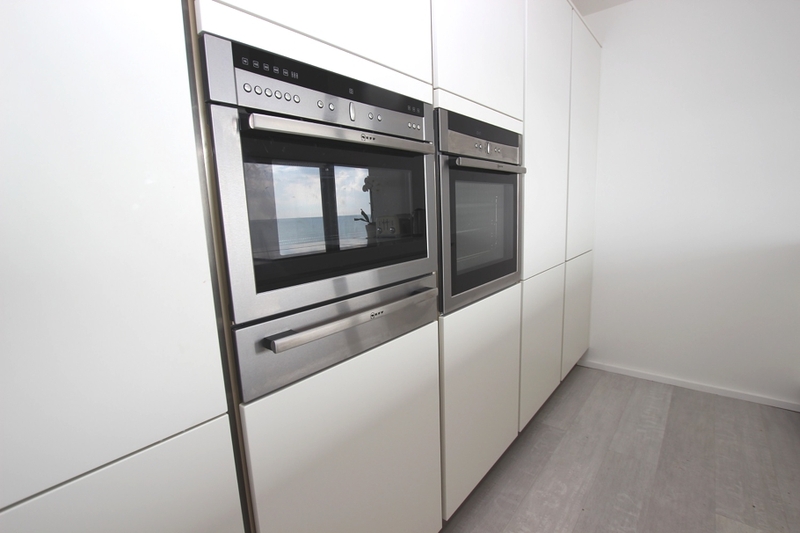 The recessed cupboards and ovens opposite are accessible at the mere spin of a heel, whilst the user otherwise faces outwards; this lets them engage with family during cooking, and of course maintain the stunning sea view! 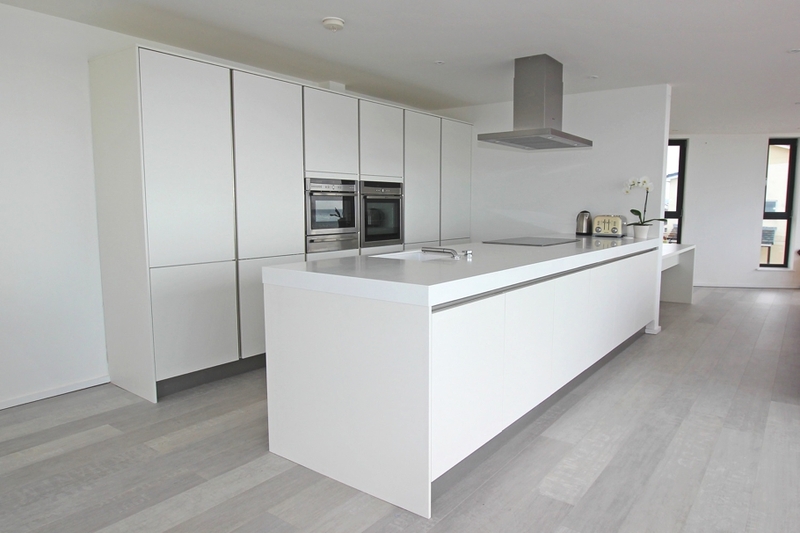 Whilst a kitchen island was a possibility, the peninsula was better suited for this family kitchen as its single access route makes it easy to keep their child clear and safe of the cooking zone. 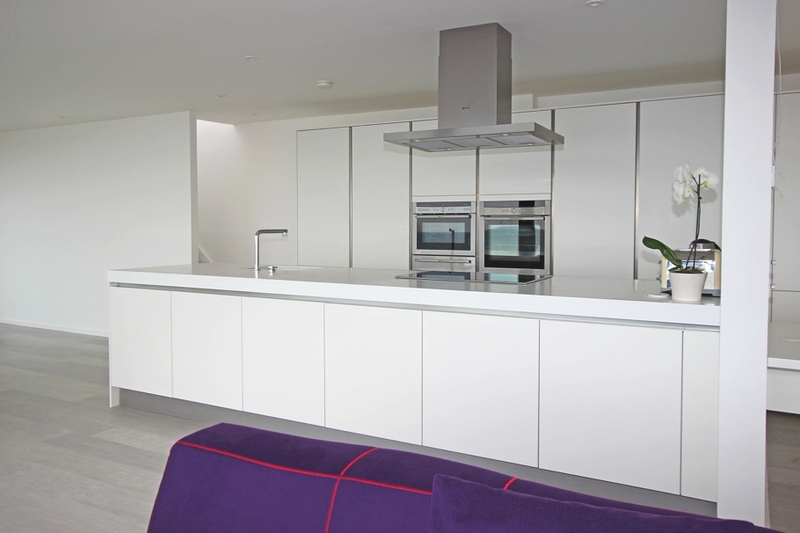 At the same time, the peninsula also provides ample storage space for all kitchen cookware and utensils, helping maintain an uncluttered look. 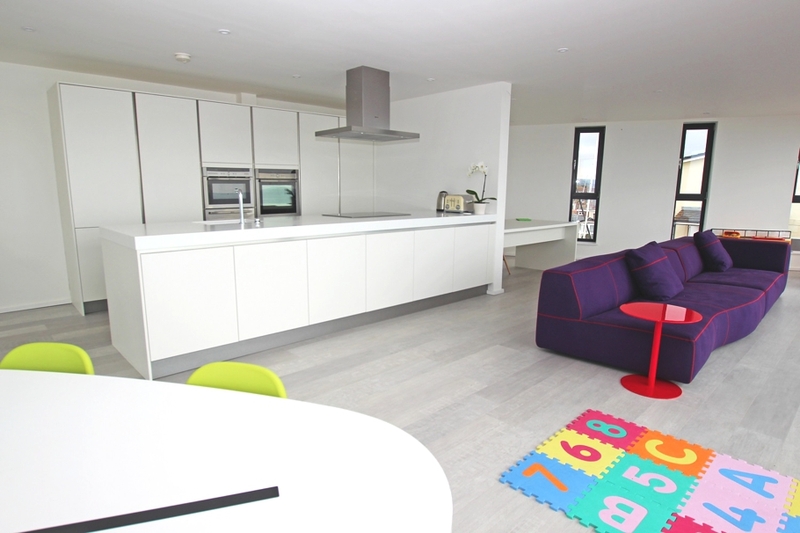 Cupboards on the other side of the purpose-built kitchen partition provide further storage space for children’s toys, alongside a designated play area. 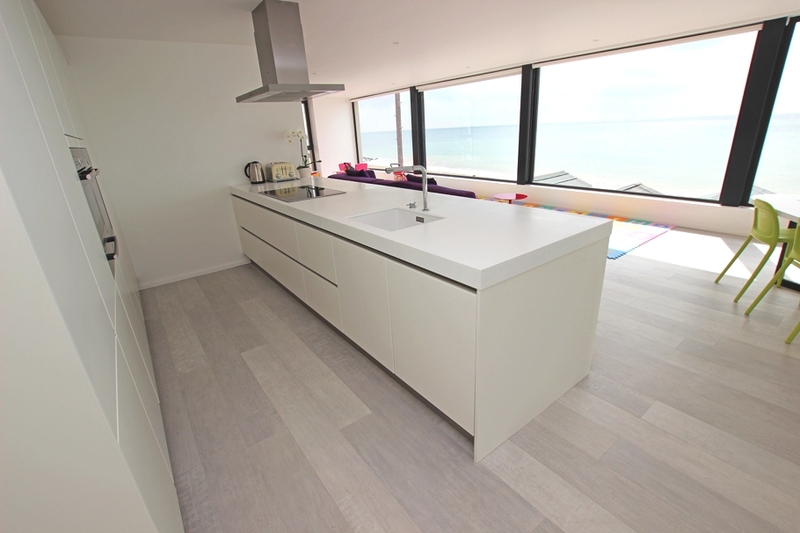 As desired by the owners, the overall feel of this kitchen is bright, light and airy, whilst giving way to their picture-perfect sea view. 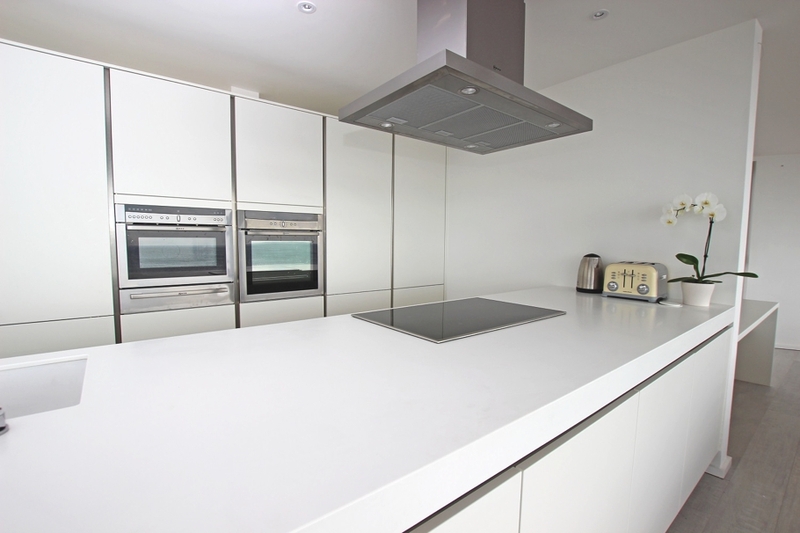 Yet much more than looks, it blends luxury with practicality, ensuring the kitchen’s chic look can be easily maintained throughout everyday use. 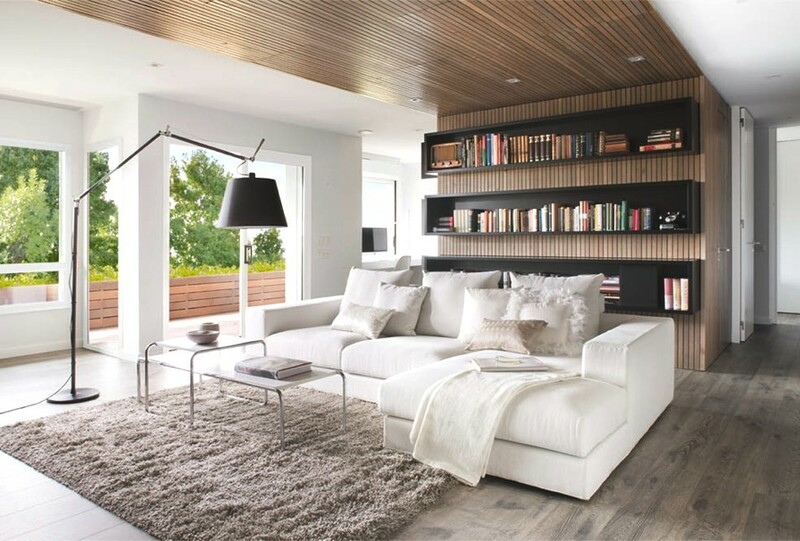 Susanna Cots a Barcelona-based interior designer has completed the design for this modern home for a couple in Barcelona, Spain.